Danielle Fichera is a luxury collection for the modern voyager. The line infuses wanderlust with easy sophistication, in elevated destination wear that can be worn anywhere. Inspired by travels in the Côte d’Azur, influenced by treasured finds from the Les Puces market in Paris and Portobello Road in London, and crafted in New York from the world’s finest materials, these eclectic, impeccably made garments are a unique interpretation of global style. The ultimate resort capsule, Danielle Fichera offers an edited array of vibrant colors, playful patterns, intricate textures, and clean, classic silhouettes. Each piece is designed to be the dream version you’ve been searching for, from the perfect summer tunic to a flawlessly tailored shirtdress blossoming with feminine florals. Signature fil coupé weaving gives many key styles one-of-a-kind personality and dimension — perfect for holiday dressing and easily transitioned to daily city adventures. The collection advances a new approach to luxury craftsmanship, insisting on the highest quality fabrics and finishes along with sustainable small-batch production. Italian organic cotton is a core fabric; gorgeously soft to the touch, it is completely free of pesticides, chemicals and GMO products, and does not require dry cleaning. Premium mother of pearl buttons, sustainably sourced, provide a jewel-like accent. In defiance of the industry norm, and because we believe personal style is trend-proof, we proudly reduce unnecessary waste by utilizing our favorite materials and patterns on repeat. 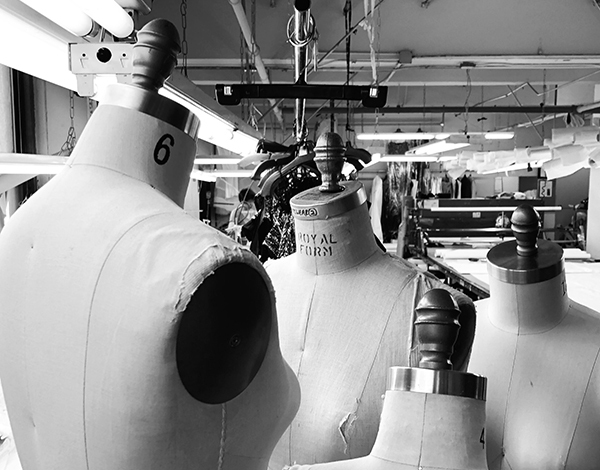 Every item is produced locally in New York’s historic garment industry, by highly skilled tailors with decades of expertise. Founded in 2016, Danielle Fichera debuted at the Four Seasons and Fred Segal in Los Angeles. It is now carried at fine specialty stores, and worn by discerning travelers worldwide as well as by exemplars of sustainable style such as Amanda Hearst. Danielle Fichera, a native New Yorker, was on holiday in the south of France when she came up with the idea for her first piece of clothing. She’d been searching for the perfect summer tunic, but quickly realized her ideal version didn’t exist. Returning home with a souvenir dress that evoked the spirit of the south of France in look but not in quality, she asked a local seamstress to recreate it in a luxurious fabric, with an improved fit. The resulting garment proved popular with her inner circle, who began putting in requests, and quickly caught the attention of a buyer at the Four Seasons Hotel Group. Nine tunics later, Danielle’s collection was born. To meet growing demand, Danielle — then a researcher in film with a focus on world politics, and a great eye but no fashion experience — enrolled at Parsons School of Design in New York, where she honed her skills and teamed up with a brilliant technical designer. Soon the brand expanded to include sophisticated shirt dresses, blouses and light jackets, in addition to those original signature tunics. Today, Danielle Fichera represents the best of modern luxury. Her joyous, impeccably crafted garments are intended for women who, like her, know the importance of living life beautifully at home and abroad.